We'll be in the hotel breakfast area! Breakfast will be provided for those staying at the main conference hotel. This room (Leibniz-Bibliothek) will be available all day for those who need to pray, or just need to spend some time in a quiet place to recharge. Its use is encouraged at any time, and you can continue watching OpenCon through the Livestream! If you require access to the maternity room, please visit the help desk (by the main auditorium). In this panel, we'll hear from initiatives led by students and early career academic professionals which are catalyzing progress on Open Access, Open Education, and Open Data around the world. We'll hear their inspiring stories, from Canada to Nepal, of sparking change. We'll also find out where they found support, what challenges they faced, and their words of advice for participants. Carol will discuss the project “Assessing Current Practices in Review, Promotion and Tenure (RPT) Across the United States and Canada” departs from the belief that the adoption of open access and other open science principles among academics would be more widespread if ‘being open’ was explicitly rewarded in career progression of university professors. In the case of Canadian and American institutions of higher education, career progression generally takes the form of reviews of faculty’s work, promotions, and the achievement of tenure—a permanent, lifetime, position at an institution that cannot be terminated, except under crucial circumstances. The importance placed on the RPT process by all faculty suggests that changes in the policy documents and guidelines that inform these practices may provide the impetus for behavioral change, leading to broader interest and adoption of open access values. In the context of a broad and ongoing project, this presentation will focus in some of the results of the content analysis of 864 RPT guidelines and forms of 129 institutions across the US and Canada. These finding will hopefully provide baseline knowledge for thinking in actualized ways of effecting change towards a greater opening of research in North American universities. Laurent will speak about the BulliedIntoBadScience campaign. The #BulliedIntoBadScience campaign was initiated after several attempts to influence publishing practices at the University of Cambridge and in the UK. However, it seems at times impossible for academics, early stage and more senior, to change a broken system that is, sadly, just accepted by most. I'll share some of the background of the #BulliedIntoBadScience campaign and reflect on early career researchers' challenges in fighting for a more ethical environment. How do you build a university culture of open science, one that isn't motivated by top-down policies, but shared understandings of knowledge production and communication? Robin Champieux will talk about the work she's been doing with students, early career researchers, and faculty to engage and build grassroots support for open science and the outcomes it can drive through educational opportunities, partnerships, and community events. She will speak to the rewards and challenges of leading an open advocacy initiate with inspiring, but often unconventional successes and how she and her collaborators are thinking about the future of their work. Snacks & drinks (coffee, water, juice) will be provided during this break. The ecosystem for scholarly communication and education varies widely under diverse geographical, cultural and social contexts—and so it is perhaps no surprise the approaches towards advancing Open Research and Open Education do, as well. In this panel, we’ll take a glimpse into specific examples through which Open is being advanced around the world, with an emphasis on models that are often marginalized in mainstream discourse around Open scholarship. Aliya will be talking about the successes and challenges of integrating openness in the Kyrgyz context through the implementation of Kyrgyz Mountains Environmental Education and Citizen Science project (KMEECS) and subsequent projects. KMEECS project applies a transdisciplinary approach to knowledge generation. It combines citizen science on the community level, environmental research and teacher training to foster awareness of and interaction with the local environment. At the same time it aims at generating locally relevant data on the environment in the mountains of Kyrgyzstan. The project pilots the introduction of low-cost environmental field courses on water monitoring in schools in mountain communities of Kyrgyzstan’s Naryn province. Based on a citizen science approach, students analyse and generate data on their water resources, which are fed into a network of open environmental data. Zukie will cover the following: Open Science, particularly Open Data in Africa. This will be done from the perspective of the African Open Science Platform initiative. The status of Open Data in Africa will be looked through the lenses of policy, infrastructure, capacity building and incentives as per the initiatives focus areas. A list of countries actively involved in the advancement of Open Data will be highlighted as well as those that need greater intervention. Possible Marginalised models for promoting open science in Africa will also be shared with the audience. Danyal Hayat is an Engineer and Open Education advocate who uses National/International platforms to run awareness campaigns & contribute to the Pakistani government policies being a stakeholder & member of the working groups in different policy making processes. Danyal will be talking about Prime Minister's Youth Laptop Programme which is one of the 6 schemes of Prime Minister's Youth Program (PMYP). PM’s Youth Laptop Programme is an initiative that aims at providing 100,000 laptops per year free of cost to the university students & young researchers, with a free access to internet and to online courses at subsidised rates, which makes it the biggest milestone towards OE in Pakistan. Open Reactions is a time for attendees to reflect openly on the conversation so far at the event. Best practices in open scholarly research - Green, Gold or Hybrid? One of the major arguments among researchers when considering adoption of Open Access is caused by the constrast in what individuals believe to be the best practice in making research more open. The various arguments stem from factors such as credibility, career impact, peer review and many more. In this session, we are all going to be discussing what we consider as best practices and why, we would also examine the barriers and gather ideas for suitable solutions. The session is oriented to identify the success factors within the elaboration and design of Open National Policies. It will present the National Open Science Policy in Mexico as the first example of it and a super easy analitic model and all the attendees wil provide inputs for the discussion in the form of comments, experiences, jokes, etcetera. In this unconference session we want to share the experience of the Global Open Science Hardware (GOSH) movement, a recent but ambitious and horizontal initiative that aims for all science hardware equipment to be open by 2025. Within that frame, we're interested in discussing ideas regarding challenges, opportunities and what we mean by democratizing technology. This session is a space for those working on the creation of open textbooks to share their work and experiences, and potentially try to find some solutions to common challenges. This session may feed into a project or challenge for the Do-a-thon. The life sciences are slowly warming to open data. There have been notable successes (e.g. Genbank), but there are still many issues to be resolved. These issues include cultural issues (reluctance to share data), informatics challenges (e.g. 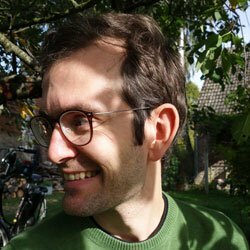 lack of common databases), and a lack of awareness of existing standards and best practices (e.g. Darwincore standards for occurrence data). The goal for this session will be to brainstorm ways that attendees can begin to address some of these issues, possibly through a publication or novel software or internet tools. While FAIR principles guide sharing of research data, are there generic attributes that assists decision on the quality of research data shared ? Should research data be peer reviewed after sharing or before collection ? If these questions intrigue you, please join this unconference session to offer existing best practices or novel solutions on the peer review of data. The working plan of this 60 minute session is to use design thinking tools for understanding peer review of research data. Learn how to apply design thinking methods to Open Research and Education! 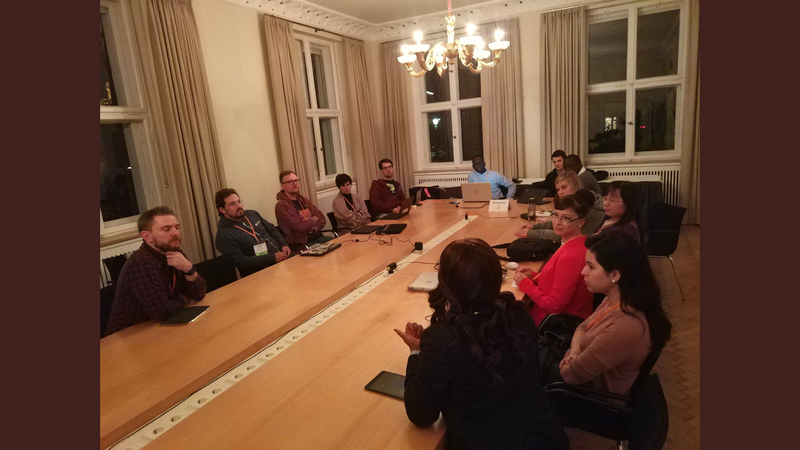 This year, OpenCon is focusing on identifying challenges in advancing Open scholarship and working together to build inclusive, equitable solutions. If you missed our optional design thinking webinar, come to this unconference session to get a primer on some basic concepts used in design thinking: a set of tools to design thoughtful solutions to problems with humans, empathy, and the bigger picture in mind. We'll be focusing on problem definition - which may be useful for participants who are interested in submitting challenges to Monday's do-a-thon but don't know how to frame the issue they are interested in tackling. Participants will get a chance to walk through exercises and also consult with Lorraine about do-a-thon submissions. You know this situation: you need to get an overview of an unknown field of research - and you need it fast. In this session, you will learn how to approach this task using Open Knowledge Maps, a visual discovery tool. Together with other participants, you will explore unknown research fields in a fun and fast-paced mix between a virtual scavenger hunt and a pub quiz. You will learn what makes a badass librarian and why the city of Athens is almost synonymous with insomnia in some communities. And you may even win a dinosaur-related prize in the end! The idea of transmedia as in transmedia storytelling is used as an excuse to discuss different approaches to open research divulgation that extend text as a communication device with another media artifacts. The idea is to explore how to create engaging narratives around research which are themselves a research product and that can be an entrance point to a particular topic for different audiences. Light food and drinks (both alcoholic and non-alcoholic, cash bar) will be provided. This room will be available all day for those who need to pray, or just need to spend some time in a quiet place to recharge. Its use is encouraged at any time, and you can continue watching OpenCon through the Livestream! Government officials and administrators are often on team "Open" and function as crucial partners to researchers and librarians in the push towards open as the default for research and education. In this panel, we’ll get to know their stories, perspectives, and how we can work together to advance open. Eunice will present the National Open Science Policy in Mexico, its components, and its evolution from a National Open Access Strategy to a broader policy for Open Science. It will also remark, from an organizational perspective, the success factors in the elaboration and design of these policies. My name is Linda Lew, a Chinese New Zealander working as a reporter for the South China Morning Post in Hong Kong. I'm an open access and open data advocate promoting the movement in China. Statistician and Economist with a keen interest on innovation and gender-sensitive governance. Strong promoter of open access and open data practices in social sciences in french speaking Sub -Saharan African countries. When we talk about the work of open, often we talk about work Ion the back end. This sessions will be a discussion about tools, organization and solutions to help people discover open resources as they grow in number and type. Our OpenCon Do-a-Thon runs ALL of tomorrow. If you need help getting involved in the Do-a-thon, or have a question, join this session for a quick guide to getting involved in something awesome, posting your project or challenge - or anything else! We will discuss examples of how open topics and open content are broadcasted through podcasting, blogs, online storytelling, and other DIY media. Opportunities to collaborate in future media projects to advance openness will be explored, as well as the possibility of creating a network of open media makers to share resources, best practices, and openly licensed content. How is data you are publishing or using for your own work following open data licensing standards? There is more and more open data being published but often it is missing a key attribute, a license. There are already great resources out their like the Creative Commons open data licenses to alleviate this issue. The goal for this session will be to discuss why licenses are not being applied, what can change culturally to make them more ubiquitous and data more usable/remixable. Open Science is currently a topic that takes place mainly within academia, with fellow researchers being the main subjects. I believe that we also need to open up science for society at large. Open Access is a start, but research results are often very complex. We should therefore start focusing on explaining complex research results in layman's terms. These should i.m.o. also become part of the scholarly communication process. This session is a space for those working in humanities & social sciences to discuss their work, share the the challenges they face, and explore how open issues affect our fields in unique ways. We hear about reproducibility more and more, but as far as I know, there are still few venues that are dedicated to publishing them, or even simply initiatives that would encourage them. In this session, I would like to crowdsource information about initiatives, training, education pilots, funding sources, journals, that fall into this category. I would like to gauge the perceived relevance of a Science Matters journal dedicated to reproducibility studies (I do not work for Science Matters or have shares in the company, I just happen to lobby the founder to consider such a journal since more than a year). I would love to discuss what are the features this journal would need to have and simply hear if it is a good idea or not. The session will highlight the birth of the SPARC Africa chapter, its progress and its future plans. We will speak in depth about the need for an African collaboration to make this chapter a success. We will also speak about what SPARC Africa has to offer for those in the region and how you can contribute to this chapter. We welcome participants from all regions to join this session. Group discussion of strategies for presenting open practices to practitioners in the field. How can we make the practices attractive and compelling to individuals in their day to day work? Specifically looking at ideas that apply to an individual's work even in a world where most practice is *not* open by default. Deep interest in the free knowledge movement with experience in free software, open education, book digitization, and open science. Learn about how copyright law reform can affect the ability to fully implement OER and OA, and where copyright law decisions are being made. If they wish, attendees may continue to use the venue for informal meetings before dinner. If you need help getting involved in the Do-a-thon, join this session for a quick guide to getting involved in something awesome, posting your project or challenge - or anything else! At any point in the conference, you can go to the helpdesk to get help too. Session 1 & 2 are the same.